The Summer Intensive Japanese (SIJ) Program provides students with an introduction to the Japanese language and culture through a one-month schedule of language classes and cultural field trips. Program participants attend language classes every morning with cultural classes, activities, and field trips held in the afternoons and evenings. 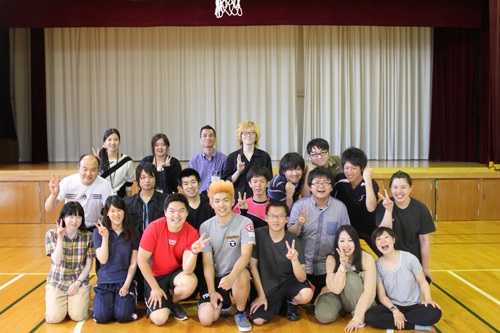 The language classes are tailored to the level of the participants and Hirosaki Gakuin University students join the program participants in activities and classes to act as tutors and assistants. The SIJ Program runs annually from late May to late June. Program participants stay in a hotel during the week and homestay with Japanese host families for two of the three weekends during the program. Every effort is made to accommodate participants’ special needs when matching them with host families. 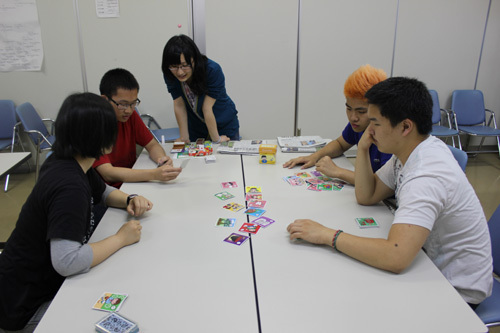 Weekdays, students attend Japanese language classes with student tutors in the morning, and then engage in cultural activities in the afternoons and on weekends. Some cultural activities include calligraphy, kite-making, Japanese film appreciation course, traditional dance, mountain climbing, and Japanese archery. Pictures of these activities can be found on the program flyer available for download at the top of this page. The schedule also allows plenty of time for participants to explore Hirosaki and the surrounding communities, or to hang out with Hirosaki Gakuin students. SIJ Program participants make friendships with HiroGaku students that last alifetime. Program participants do not need Japanese language skills prior to arriving; however, those who have completed Japanese language classes in the past will be able to further solidify their language skills and become more fluent upon completion of our program. Hirosaki Gakuin University currently has exchange program agreements with the University of Wisconsin – La Crosse and Shenandoah University—both American universities—which allow for the transfer of credits back to the student’s home university. Current policies allow for the transfer of up to 6 credits (4 language and 2 cultural-studies) to be transferred to the home university. Interested students should contact their university’s Study Abroad Programs office for assistance; or they can email the program coordinator, Prof. Edo Forsythe, at forsythe@hirogaku-u.ac.jp.